To read insights for last week's study, scroll to the bottom of the study HERE. 1. They view their work as more than just a job. 2. They're willing to do hard things to get results. 3. They don't excuse failures but see them as opportunities to learn. 4. They don't let past failures keep them from trying new things. 5. They deliberately set daily goals. 1. They "work heartily, as for the Lord and not for men" (Colossians 3:23ESV). 2. They deny their selfish desires even when it's hard (Luke 9:23). 3. 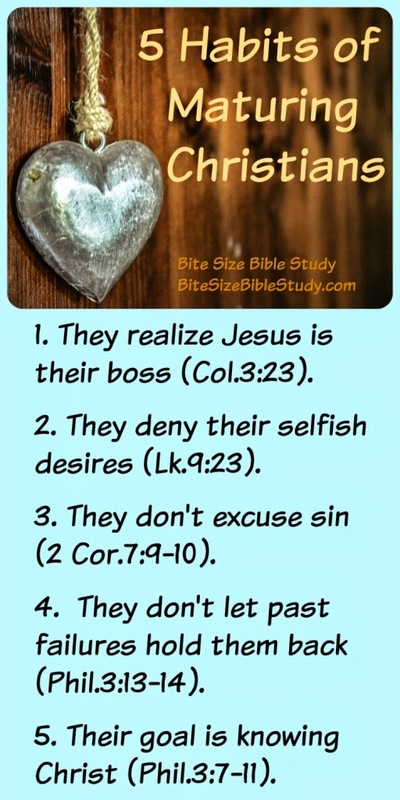 They don't excuse sins but learn from them (2 Corinthians 7:9-10). 4. They don't let past failures hold them back (Philippians 3:13-14). 5. Their consuming goal is knowing Christ (Philippians 3:7-11). Highlighting the first characteristic, let's make efforts today to think of Jesus as our boss. Whether changing diapers or working in the marketplace, do your best for Him! 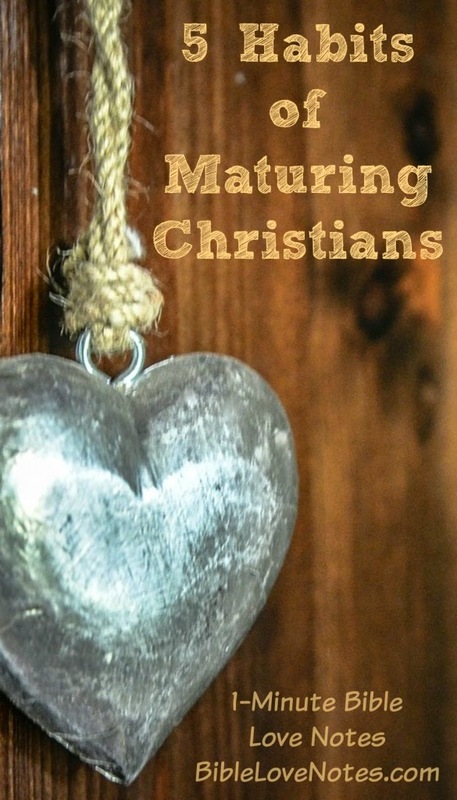 This week 1-Minute Bible Love Notes will be addressing each of the other characteristics in a brief devotion. 1. How does a Colossians 3:23 attitude change our perspective? Colossians 3:23: Whatever you do, work heartily, as for the Lord and not for men, 24 knowing that from the Lord you will receive the inheritance as your reward. You are serving the Lord Christ (ESV). 2. How does a Luke 9:23-25 attitude change our purpose? Luke 9:23-25: Then [Jesus] said to them all: “Whoever wants to be my disciple must deny themselves and take up their cross daily and follow me. 24 For whoever wants to save their life will lose it, but whoever loses their life for me will save it. 25 What good is it for someone to gain the whole world, and yet lose or forfeit their very self? 3. How does a 2 Corinthians 7:9-10 attitude free us? 2 Corinthians 7:9-10: yet now I am happy, not because you were made sorry, but because your sorrow led you to repentance. For you became sorrowful as God intended and so were not harmed in any way by us. 10 Godly sorrow brings repentance that leads to salvation and leaves no regret, but worldly sorrow brings death. 4. How does a Philippians 3:13 attitude affect our view of past failures? 5. How does a Philippians 3:14 goal change all other goals? Philippians 3:14: ... I press on toward the goal to win the prize for which God has called me heavenward in Christ Jesus. Even the insignificant tasks of life become significant when we're doing them for the Lord. Even if our boss, our children and our spouse don't appreciate us, our lives are meaningful if we are seeking to please the Lord. Read "Who's #1" for insights on this question. Read "Use 'Em, Don't Excuse 'Em" for insights on this question. Read "Anti-Christian Extremist" for insights on this question. Read "Goal Setters" for insights on this question.